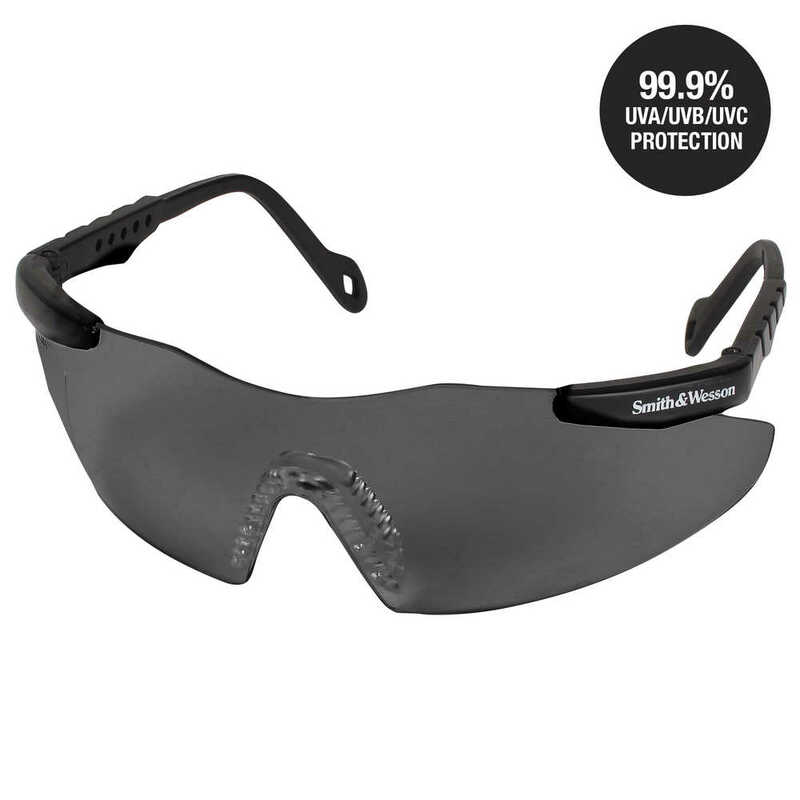 If you’re looking for stylish, comfortable safety glasses, the Smith & Wesson Magnum 3G Safety Glasses are a terrific option. 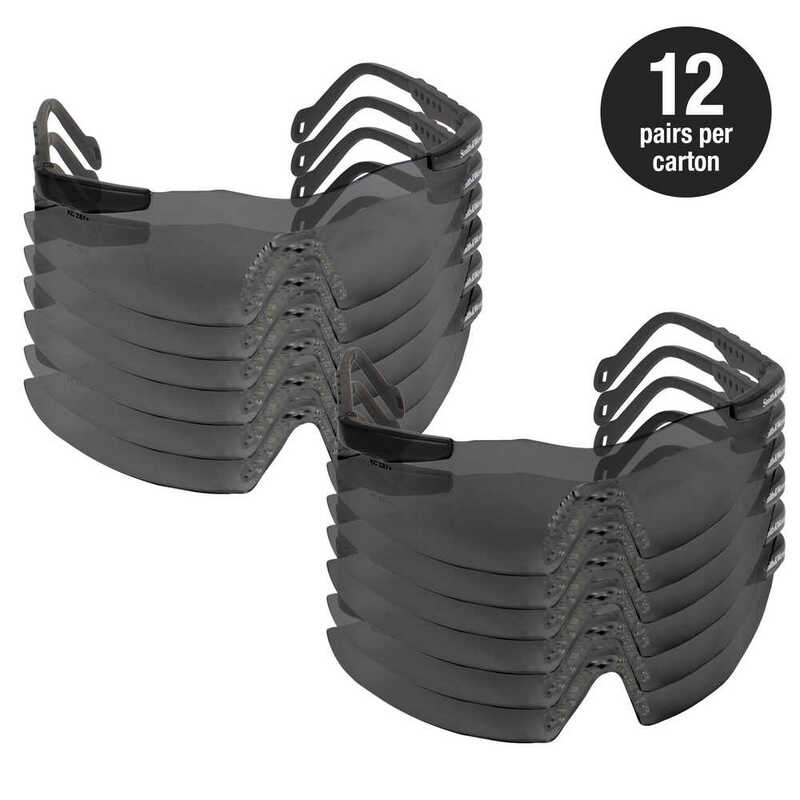 They are popular for use as shooting range glasses, gun glasses, gun range glasses or gun safety glasses. 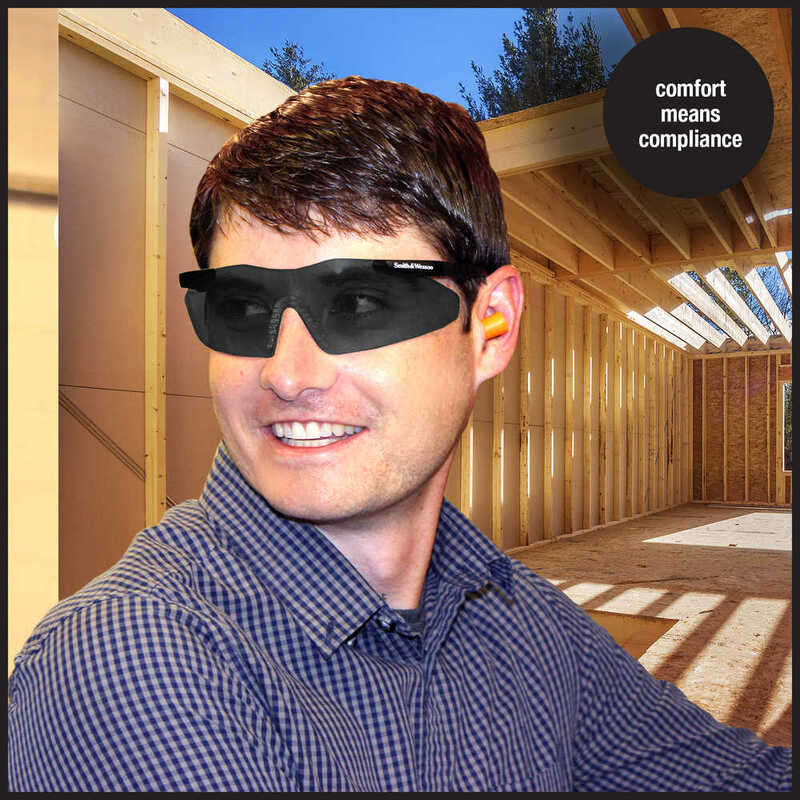 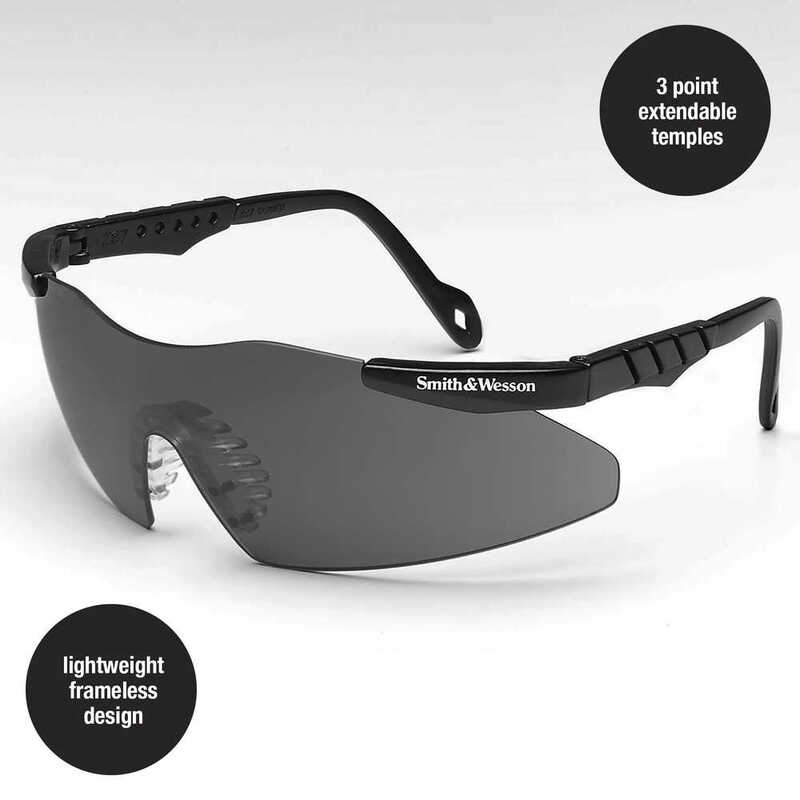 These safety glasses meet ANSI Z87.1+ standards and provide 99.9% UVA/UVB/UVC protection. 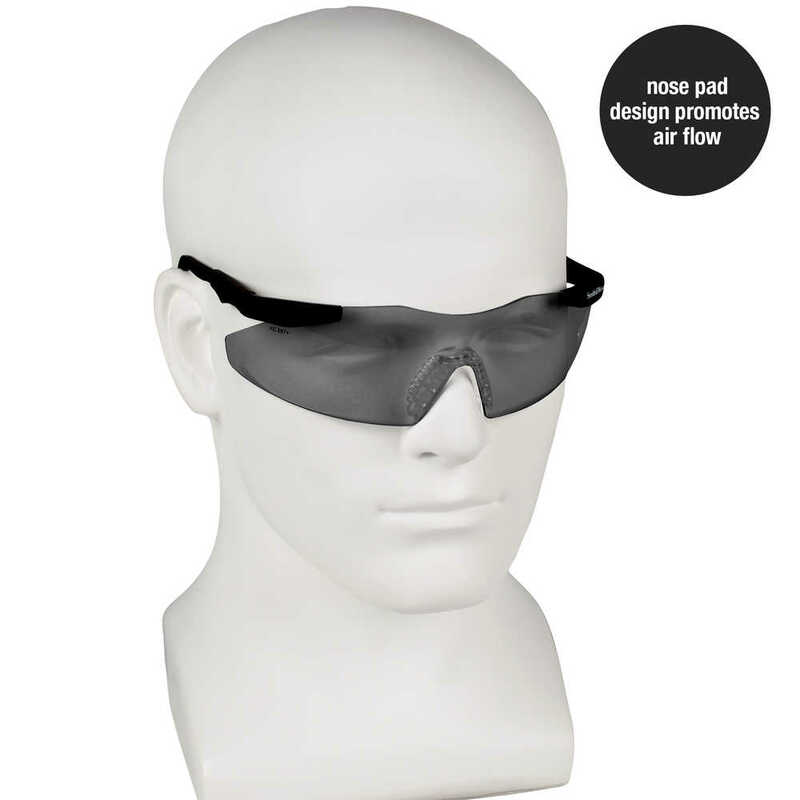 They feature black frames with smoke lenses and have a self-adjusting nose pad with rubber fingers, which allows air flow and sweat to dissipate. 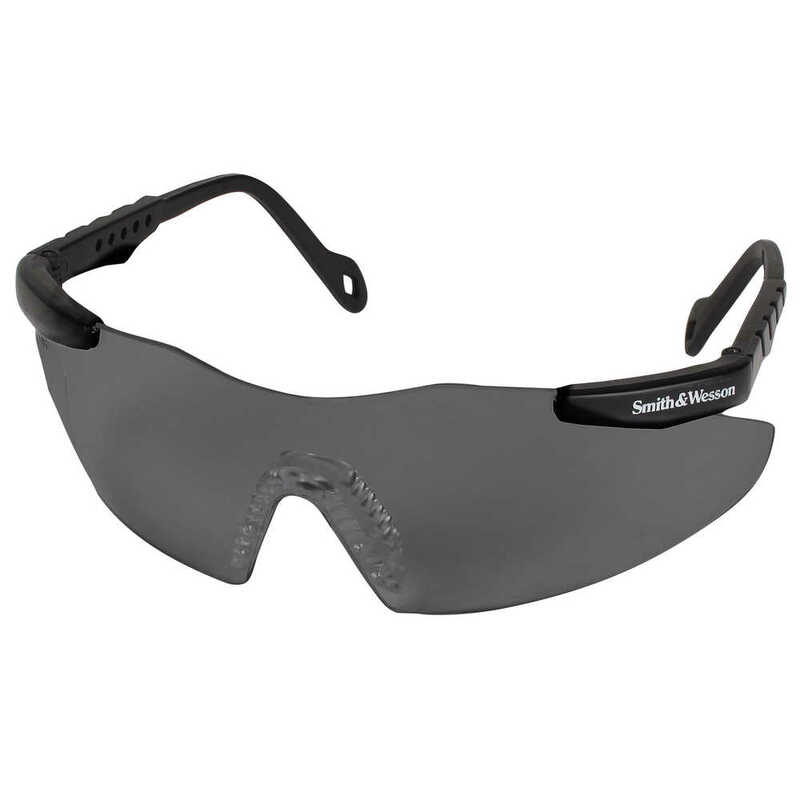 The Smith & Wesson Magnum 3G safety glasses offer a fashionable solution designed for all-day comfort, whether you are on the job, at the gun range, doing yard work, or driving.